VisiLean is a digital solution that everyone can access to make planning and execution of construction projects easier. Our cloud-based platform is compatible to cater all types of projects ranging from industrial buildings, multifamily developments, highway projects and commercial structures. 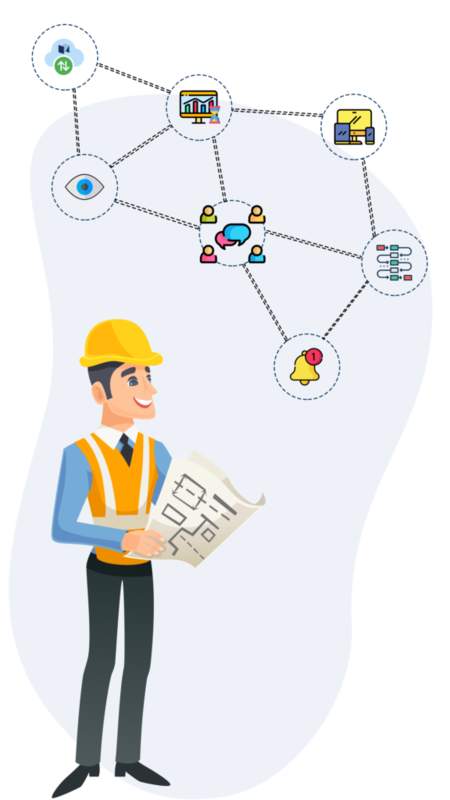 We believe that construction teams from supervisors to project managers deserve the best of both – a smooth & efficient process as well as a seamless digital site experience. The goal is to reduce RFIs and coordination waste by bringing the site and office workforce together for effective collaboration. VisiLean is based on a lean construction and visual management approach, for improved decision-making and clash-free construction. The cloud-based system ensures information is accessible anywhere. Our field app allows teams on site to send real-time progress of tasks to the software and vice versa ensuring a bi-directional flow between the site and the office. Teams in the office can use this information to see immediate progress of their project and adapt if there are any delays or problems before they become serious. 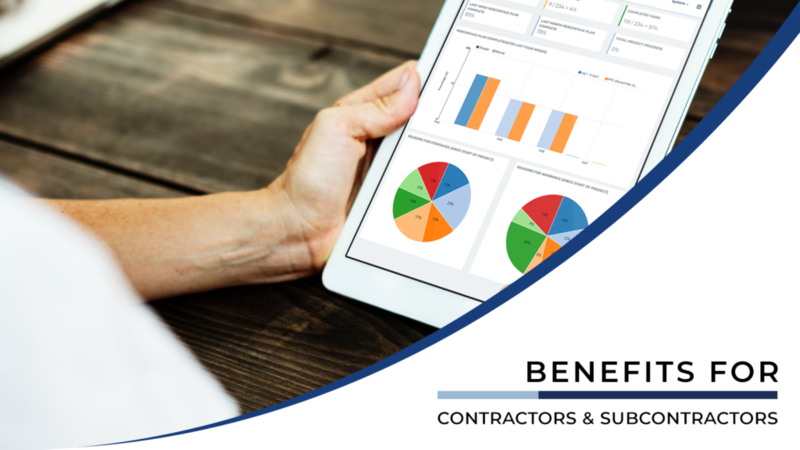 Whether you are a contractor or a sub-contractor, there can be an endless number of tasks and daily responsibilities that needs to be addressed. A top contractor should be able to handle a variety of different aspects of a project simultaneously, ensuring smooth flow. For a subcontractor, the most important aspects are the quality of their work and the work being on time. In both cases, the involvement of digital tools is significant. VisiLean helps all parties to take full control of a project, and allows them to plan, track, visualise and collaborate effortlessly. Visilean addresses the fundamental demand of quick and self-explanatory information for contractors and subcontractors by providing cloud based BIM 3D and 4D functionality to visually manage and track the construction progress from just a glance. The issues are addressed in real time hence ensuring a proactive approach. Enhanced individual and team productivity. Simplified site coordination through the mobile app. Hassle free site and office communication. Spend less time on getting the work done. Address issues in real time. Visualise in 3D and 4D through BIM. Be informed about the upcoming and high priority tasks. One stop solution for the whole project team. Connect top down and bottom up plans in a single solution.